I can’t attend for these eight days. Is there another program that you offer? Our signature program, Money & You, is only three-and-a-half day and it covers 44 hours of entrepreneurship. All Excellerated programs are life-changing. BSE focuses on how to grow your business – monetizing your products or services while doing good. We are now expanding the work to specifically look into more details new technologies and renewables. We are happy to share more about all the different programs and availability in your area. Jannie Chan (formerly Tay) - at one point known as one of the world’s top 50 female entrepreneurs - attended our signature program and ended up sending her top 200 executives and family members to do the same. 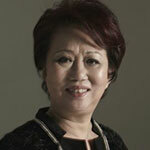 Her company, The Hour Glass, did $696 million in sales last financial year! 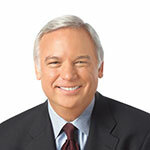 Jack Canfield - got the principle of Leverage from one of our events, which supported him and Mark Victor Hansen to develop the idea for their all-time-best-selling book series, Chicken Soup for the Soul. Their first book has since been translated into 43 languages and has been named one of the most impactful books of the past 25 years by USA Today. The series has done more than $100 million in sales (per year)! Robert T. Kiyosaki - who was my business partner for 9 years before launching his multi-million dollar book franchise - Rich Dad / Poor Dad along with Sharon Lechter, another graduate of our signature program, who is a giant in the publishing industry. Dr. Willson Lin - attended our signature program in 1998 and found it to be the best entrepreneurial program he has ever attended. He chose to take the work into the Chinese market through the AsiaPacific region and put BSE and our Money & You program on the global map. He is a multi-millionaire whose fortune expands from owning Doers.cn - one of Asia’s largest entrepreneurial training companies which he is in process of an IPO in the United States - He owns 35 companies, is an investor in 130 companies; he is an avid real estate investor, and a best-selling author of many publications.